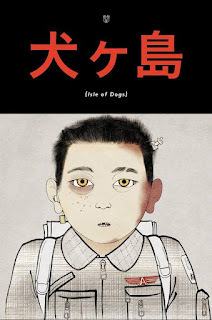 Isle of Dogs (2018) takes place in a stylized future Japan in which a canine flu has spread throughout the dog population. The mayor banishes all the dogs to to Trash Island, a large garbage dump off the coast. One small boy named Atari (Koyu Rankin) goes to the island to search for his pet Spots, but finds much more than he bargained for. The story is both a whimsical fable and social commentary, oscillating between the two vectors at will and occasionally intertsecting them. We are escorted through the tale by the dogs themselves and the film drolly informs us "All barks have been rendered into English". As such, the majority of the Japanese speakers’ native dialogue is untranslated, though it is always presented with enough visual context to figure out what is going on. Chief (Bryan Cranston), a scrappy stray dog, leads a pack of endearing and quirky pups as they try to guide Atari through the perilous garbage piles of Trash Island. The interplay between the various dogs is hilarious and the humor is as dry as a bottle of Ozeki Sake. This is Wes Anderson's second foray into stop-motion animation and boasts some of the best I have ever seen. His version of Neo-Japan channels a lot of its traditional aspects aesthetic-wise, while keeping much of his patented idiosyncratic tendencies. Indeed, it is not completely authentic but not disrespectful of the culture, more of a fascination with its most dominate traits. In fact, most of the film takes place on Trash Island which has a post-apocalyptic feel as opposed to a Japanese appearance. Anderson is still obsessed with symmetry in his framing and every shot looks like it could be a painting. One clever idea is that anytime the characters are shown on television or monitors in they are depicted using traditional style (with a hint of Ukiyo-e) animation instead of stop-motion. Underneath the charming surface of the story is a darker more ominous subtext. The dogs have been banished to bolster the reputation of the mayor and are unfairly portrayed in the media as a threat. Eventually more sinister and dangerous plans are unveiled. One can compare this to many past and present real-life events to include ones that have been perpetuated on and by the Japanese. It doesn't travel too far down this road, but the implications are there. The idea of loyalty and what constitutes servitude are touched on as well, with the film exploring the master/pet relationship between humans and domesticated animals. Every once in awhile real emotions peep through all the detached humor and it's a gut punch every time it happens. 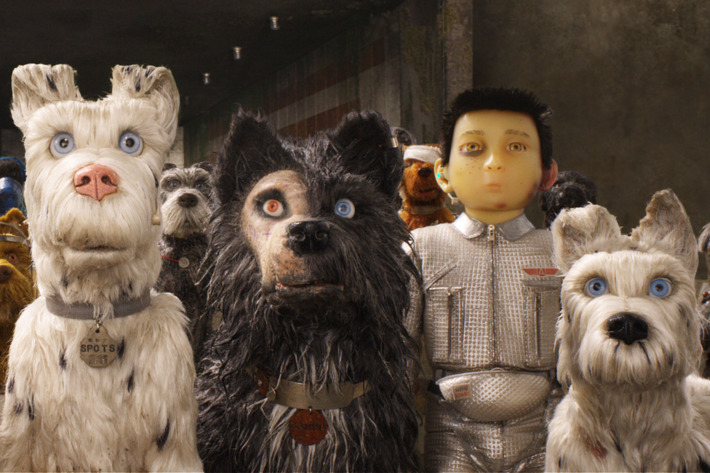 Isle of Dogs is definitely self-indulgent and if you aren't a fan of Anderson's twee style it won't make you a convert. However, fans of animation will want to seek it out as soon as possible because it stands as one of the best in the medium.